Wealth and Asset Management 2021 | Econsult Solutions, Inc. Technological, economic, and demographic shifts will transform the wealth management industry by 2021. Over the next five years, the impact of these mega-changes on the wealth profession will be profound. These shifts will unlock tremendous global wealth, but also raise investor expectations for new advisory and digital solutions that some investment providers are not yet prepared to offer. 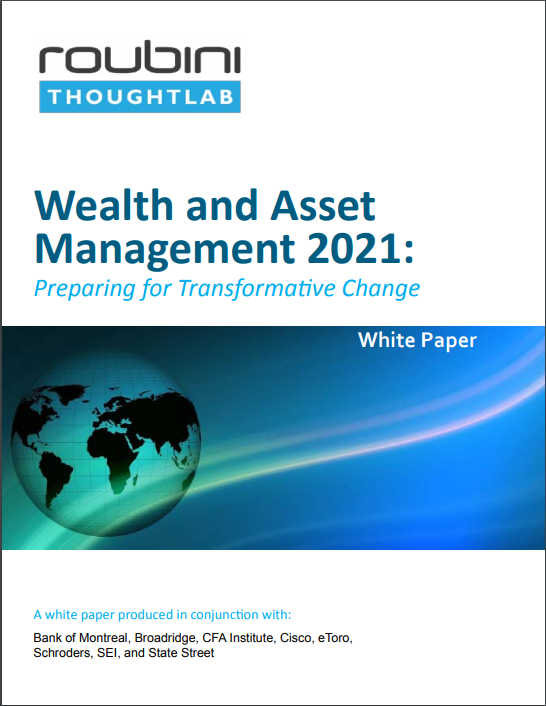 To help wealth executives understand the far-reaching implications, we teamed up with a coalition of leading organizations from the wealth industry to conduct a rigorous study, Wealth and Asset Management 2021: Preparing for Transformative Change. The complexity of these issues and the scope of the project required a comprehensive research program based on extensive quantitative analysis of 2,000 investors and 500 wealth firms across 10 world markets; economic modeling and forecasting across 25 countries; and expert opinions from more than 40 market leaders, economists, technologists, and investment specialists. A Broadridge infographic shows the results from our survey of more than 2,000 respondents and investment professionals. Click here to view the infographic.